I love the movie Inception. In this film, characters enter and experience dreams together. In order to tell the difference between the real world and dream world the dreamers keep totems, small physical items the dreamer has intimate knowledge of that will show them if they are dreaming or awake. For me living Between Disney my vacations often seem like they were dreams. I live in a place so unlike Anaheim and Orlando that it is sometimes hard to believe that Space Mountain actually exists. Luckily I stumbled accidentally on my first trip to my totems which remind daily that the Walt Disney World Resort and Disneyland Resort are actually real. And they fit my personality. 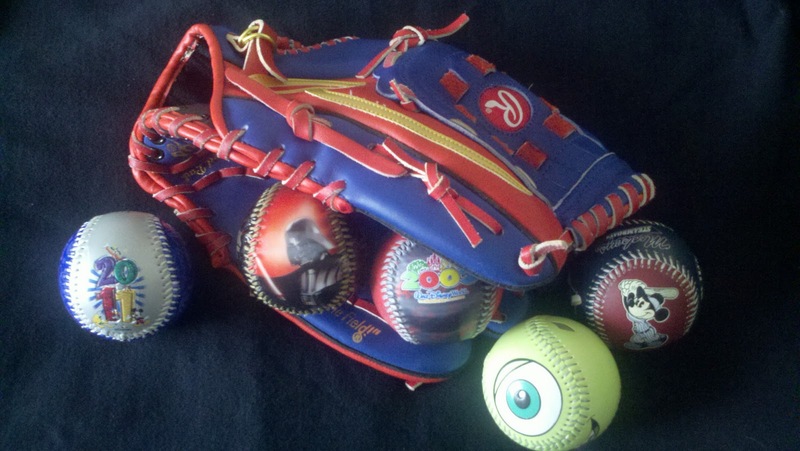 On my first trip to Downtown Disney in Orlando, I was shopping in the ESPN store when I picked up two baseballs. I am a baseball fan. One had the year of the trip and one had Mickey in baseball gear. Little did I know that this would lead to me picking up several baseballs over the next few years. About two years ago I realized I had for most of my trips the souvenir ball with the year on it for every visit but two trips. This fact lead to an Internet and EBay search of several months that netted me my missing two balls. The balls are displayed in my office, and I look at them every day. My totems remind me of where I have been, where I hope to go again, and that it’s real….it’s really real! · Small, easier to display. · Cheap, that way you never have to question the price tag. · Personal, I really like baseball and my friends will tell you that a Disney baseball is a good combination of two of my favorite interests. I’m sure that I’m not the first one to pick up using totems out here Between Disney. What’s your totem?